Anyway, during the original run of the Justice League of America, J'onn came back to enlist the help of his JLA friends to save his home planet from a greedy pale-skinned Martian warlord named Commander Blanx. 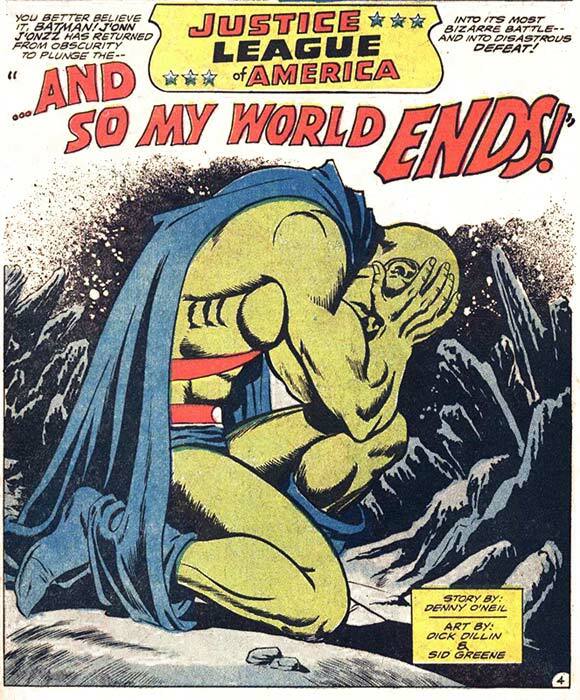 As is oft with a Martian Manhunter story, its is steeped in tragedy, and there is little in the way of a happy ending. 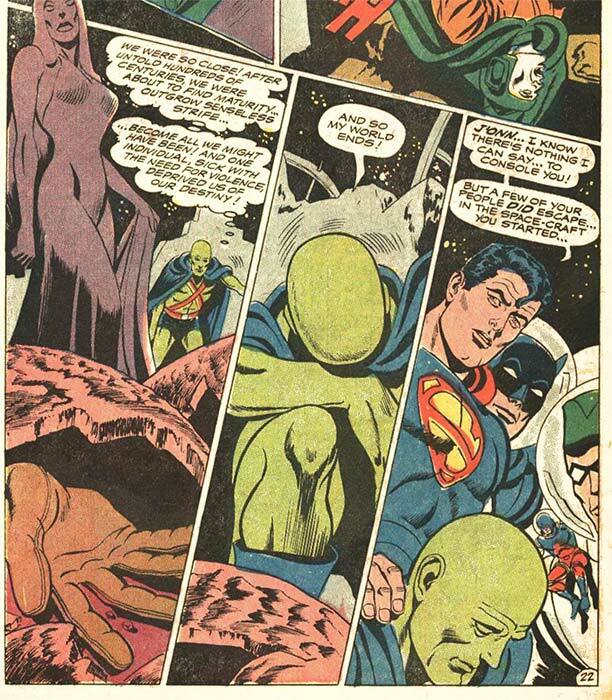 J'onn and the JLA fail to stop Blanx before he incinerates the whole planet. The good news is that Blanx is vanquished, but it is little consolation after the destruction of a world. After the crisis, wasn't MM made the last of his kind? Ahh this one is good. I got the JLA Showcase 4 recently and it's just great. I was very pleasantly surprised to see it had this story in there. 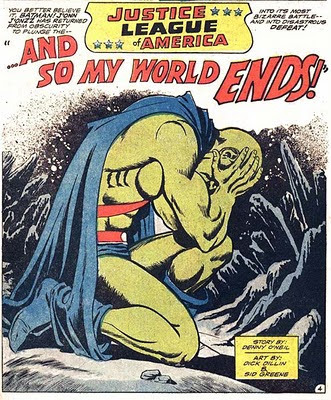 I adore that splash, but avoided using this one myself because, like the solo mini-series, only the devoted remember it. That splash is definitely capital-D Dramatic.